A theme park is advertising a bizarre job vacancy – for an ELEPHANT driver. 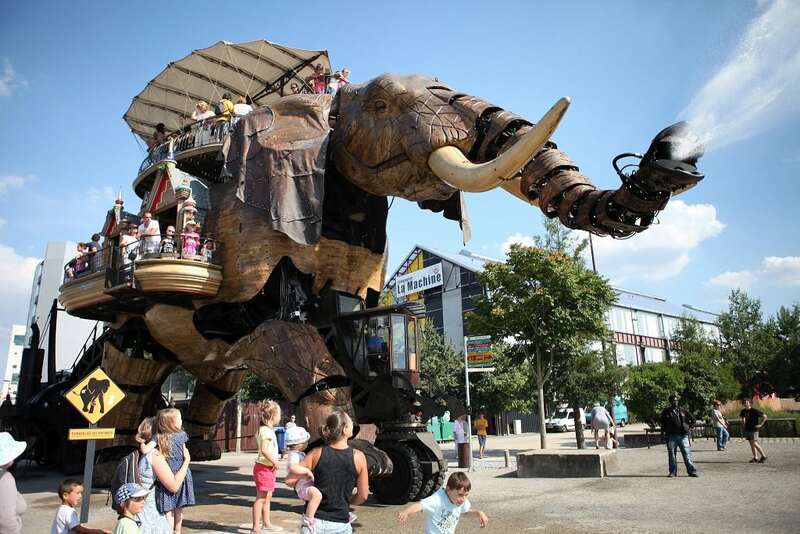 Les Machines de l’ile in Nantes, France, is looking for a recruit to operate its 40ft tall mechanical wooden elephant. The attraction is home to a host of curious mechanical animals that roam amid the crowds, including a giant spider and a horse-dragon hybrid. 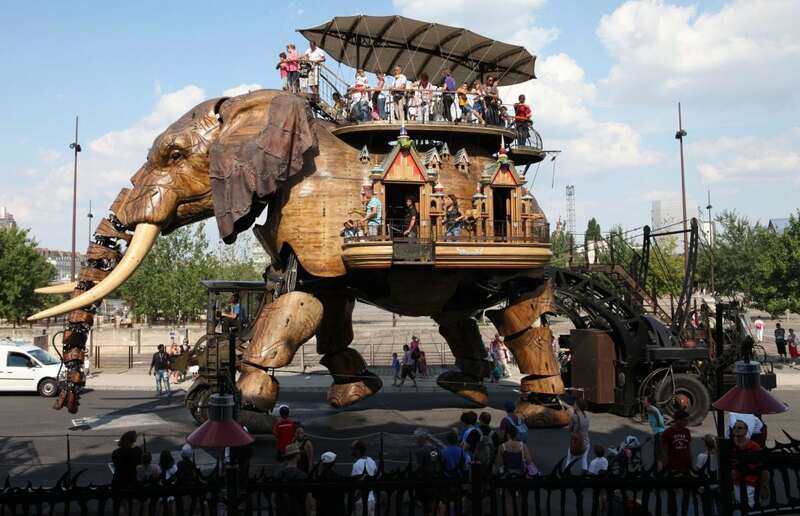 But the star of the show is the 40ft tall Grand Elephant, made from 45 tonnes of wood and steel, that carries up to 50 passengers while blasting its steel trunk. 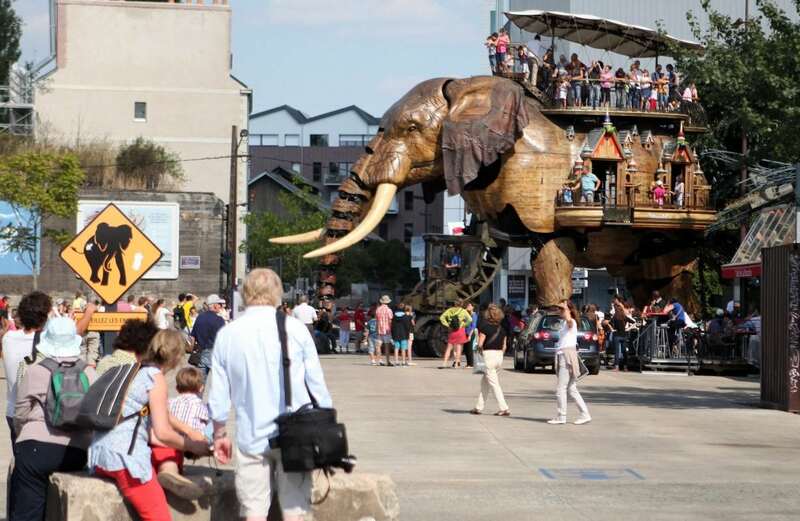 Now bosses at the park, located at the former shipyards of Nantes, are looking for a driver to operate their main attraction. But the role is not for beginners – the park are looking for a candidate who has five years of experience in agriculture or public works, or an equivalent field. Applicants will also be required to carry out maintenance on the elephant, and are therefore asked to have skills in hydraulics, pneumatics, mechanics and welding. A heavy good vehicle (HGV) permit is also desired – and candidates should have good interpersonal skills, a taste for teamwork, and be versatile, vigilant and responsive. The role offers a starting monthly salary of €1702 (£1483) per month, and benefits include complementary health care, and a 60 per cent discount in the park restaurants. Weekend and holiday work may also be required. The elephant takes visitors on a 45-minute stroll around the park as they learn about its intricate structure. 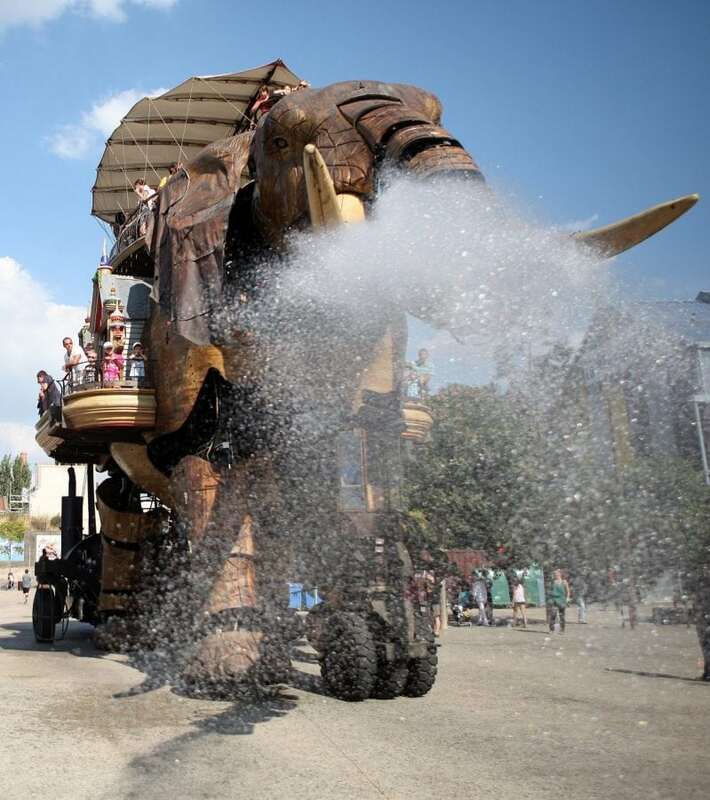 Les Machines de l’ile was created by engineers François Delarozière and Pierre Orefice in 2007, and its mechanical animals have delighted crowds from around the world ever since. The park also features an aquarium, built over three levels, which takes spectators on a tour from surface to sea floor, with 35 underwater creatures on display. Entry to the park cost €8.50 (£7.20). To see the full job advertisement, or to apply for the role, visit the Ouest-France Emploi Facebook page: https://www.facebook.com/OFemploi/.